Giving is a tradition for Neumann alumni. 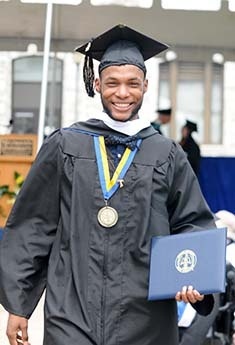 Neumann’s ability to make an education affordable to our students depends upon the generosity of our alumni and donors. Every student who embraces Franciscan values makes the world a better place. Our ability to educate is directly linked to the gift you make to Neumann each year. Your annual gift helps us offer scholarships, athletics, student activities, academic programs, service-learning experiences, and technology upgrades. Alumni participation is vital because it helps establish a culture of philanthropy that is key to the success and sustainability of Neumann University. Alumni participation is a principal factor in college and university rankings, including U.S. News & World Report. Many parents and students compare rankings when making enrollment decisions. Alumni participation also affects the amount of funding Neumann receives from corporations and foundations. Last but not least, there is strength in numbers, and a community is only as strong as the people who support it. Regardless of your reason for giving, alumni represent our past, present and future. One of the most important things you can do as an alumnus today is to join the celebration with a gift to Neumann University.